Mid-Facelift, Jowl Lift This 51 year old female had significant jowls and sagging midface skin. A full endoscopic mid face lift was performed. Note the new juvenille appearance. Face lifts are very individualized procedures. Incisions usually begin above the hairline at the temples, extend in a natural line in front of the ear (or just inside the cartilage at the front of your ear), and continue behind the earlobe to the lower scalp. If the neck needs improvement, a small incision may also be used. Dr. Wilson will then separate the skin from the fat and muscle below. Fat may be trimmed around the neck and chin to improve the contour. He will then tighten the underlying muscle and pull the skin back and remove any excess. Sutures secure the layers of tissue and close the incisions. A surgical tissue glue is often used during surgery to stop bleeding and helps to minimize bruising and swelling during recovery. 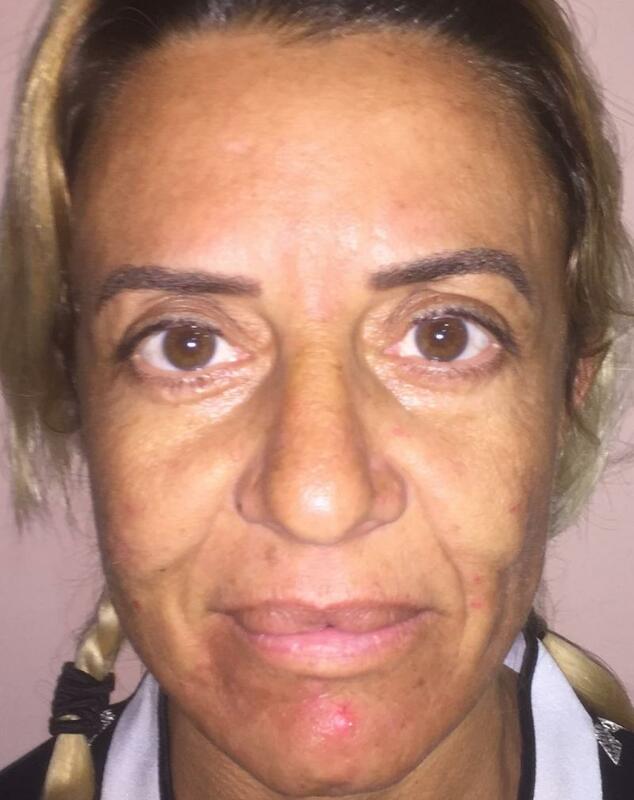 ﻿Facelift, Neck lift, Brow Lift, Blepharoplasty and Fat Injection: This 48 year old female had significant face and neck skin and desired a more youthful appearance. A previous face lift was done 2 years ago at another Clinic, with a disappointing outcome. A full face and neck lift, blepharoplasty, forehead lift and fat injection were performed leading to a more youthful appearance.